Lisa Dunn began working in commercial real estate prior to graduating from college. While earning her degree in Managerial Accounting in 1998, she was hired as a CRE analyst for a top tier national life insurance company. She further gained critical hands-on experience interfacing with borrowers and CRE brokers while working at a few local lending institutions. Lisa joined C4 Financial in 2006, bringing her cross-functional talents to a rapidly growing organization. 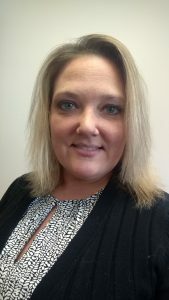 She wears multiple hats, running cash-flow analyses, processing and maintaining all files, handling vendor communications, and managing day to day accounting and company functions. She is a graduate of Cincinnati State Technical and Community College and has completed numerous MBA courses to further her skills.